Inspired by the popular Middle Eastern falafel balls we’ve combined the deliciousness and healthiness of chickpeas with pumpkin, fresh coriander and other herbs and spices and turned them into moist and flavoursome vegan burger and slider patties. Pre-cooked and frozen they’re ready to heat and serve making them ideal for snack and meal menus in fast paced foodservice, hospitality and catering environments. Serve them in traditional burgers, pop them into pita pockets or use the sliders as a base for canapes. Also available as a slider ideal for appetisers, bar and snack food. 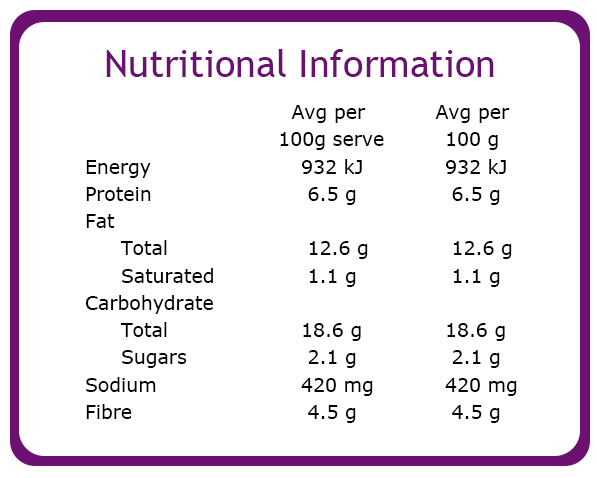 Nutritional information is for pre-cooked product as supplied. 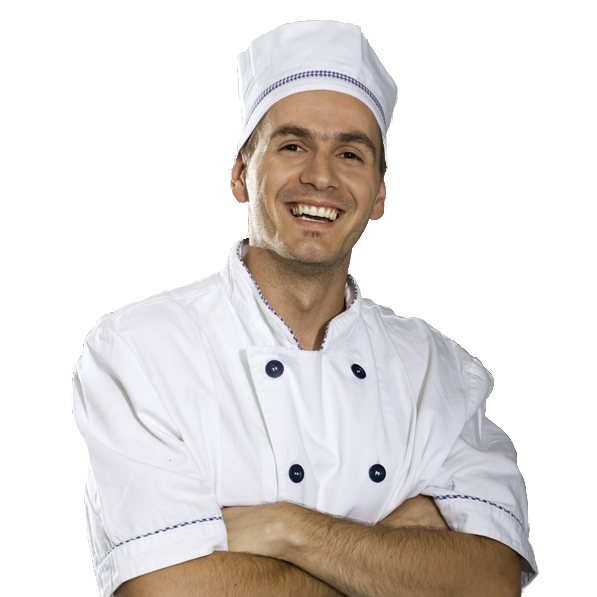 Cooking methods may alter the final composition. Chickpeas, pumpkin (14%), vegetable oil (canola), onion, wheat flour (wheat flour, raising agents (341,500)), breadcrumb (wheat flour, salt, emulsifier (471)), garlic, herbs & spices (coriander (0.6%)), salt, vegetable gum (guar). We’ve made it easier to add healthier food choices to your menus so you can cater for the growing number of people looking for healthy, vegetarian, vegan, meat, gluten and allergy free foods. 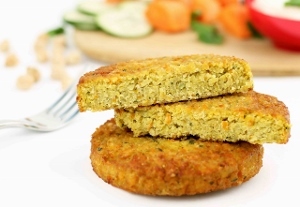 Choose from our wide range of delicious gourmet vegie burger patties and schnitzels or our unique range of vegetarian, vegan and gluten free sides and appetisers. All products are meat, egg and dairy free and many are also gluten and soy free. © 2017 Birubi Foods Pty Ltd. Designed By RaaS Designs.